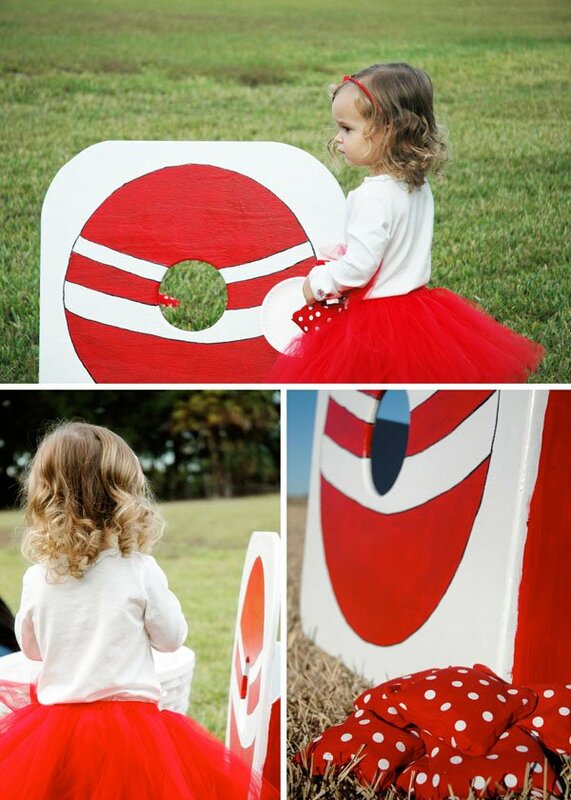 After mulling over several different party themes for my daughter’s second birthday, I decided on a “Classic Red Ball” birthday theme for two reasons. First and foremost, it had everything to do with Ella’s current infatuation with play balls. Second, it was the most simple out of the various creative themes I’d been dreaming of. Considering the fact I’d be helping to host two baby showers, Thanksgiving dinner for 25 and Ella’s party all in the same month, I knew I needed simple . *wink* Being well aware this theme had been done before, I was determined to make it my own and chose to do something classic and feminine. 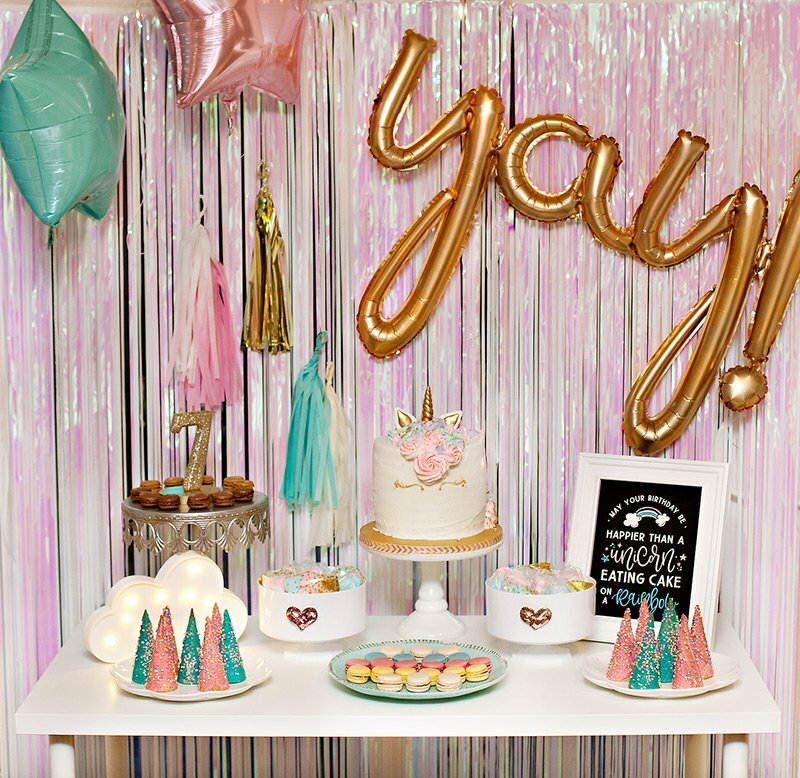 Honestly…the decor for me is all about the dessert table. 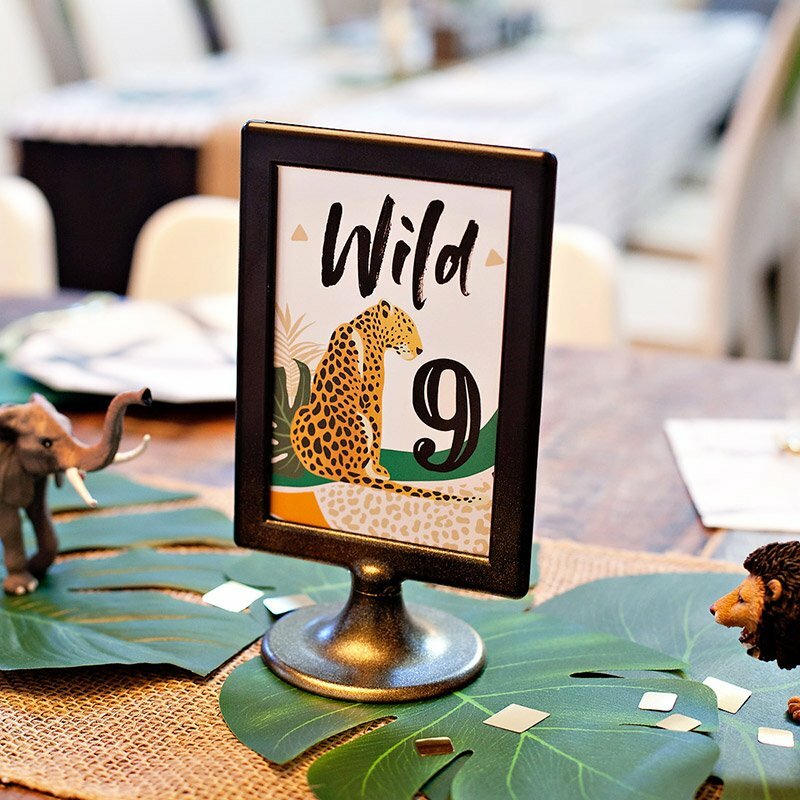 It’s my very favorite part of hosting a party because it ties all of my favorite party & design elements together in one nice little package; desserts, graphic design, decor, color palette, personalization, theme, accessories, etc. It’s also “smart”. Not only is it the focal point of the party…it’s functional too. I’d rather spend my time creating a real focal point drenched in details vs. sprinkling little elements all over the house. With that said, our back patio became the “party hub”. 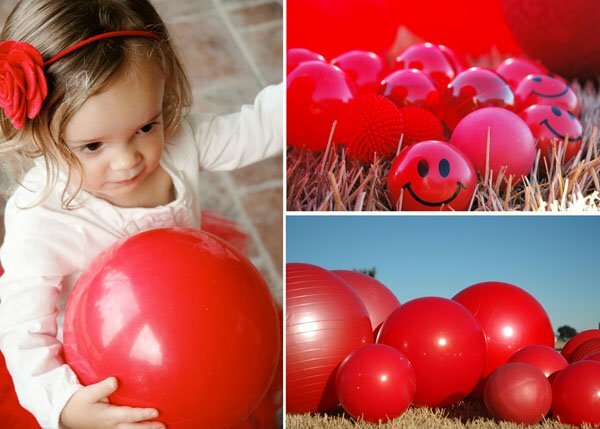 It was the perfect choice since I wanted to encourage the children attending to play in the backyard filled with a variety of different sized red play balls. Although I don’t normally do balloons at parties, they just so happened to be another one of Ella’s favorite things, so I opted to have a ceiling filled with red balloons. 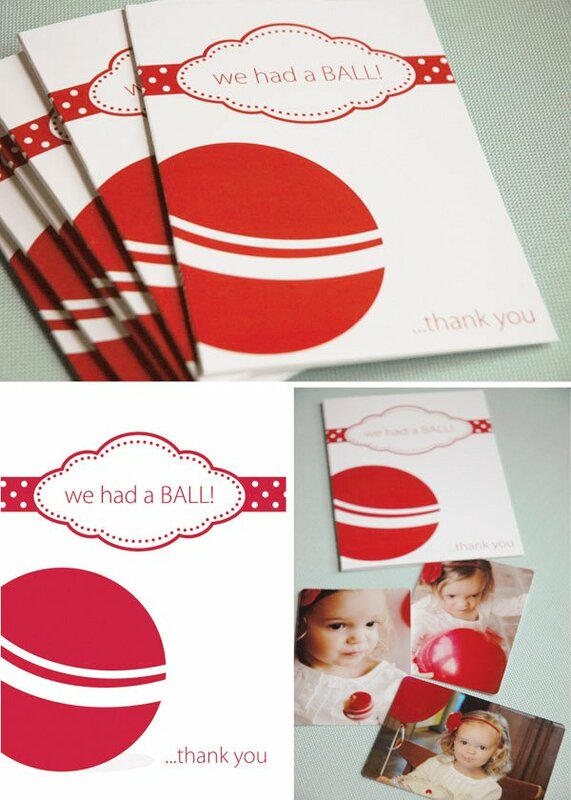 I knew I wanted to incorporate actual play balls onto the dessert table and had originally wanted to hang oversized red balls above it as a focal point. Because the oversized bouncy balls were a hard commodity to come by during the Fall season in which the birthday was held…I reluctantly scrapped that idea. I was able to add height to the table by using some nesting hat boxes from Ikea. I simply removed the lid to the top hat box in order to nest the ball on top! 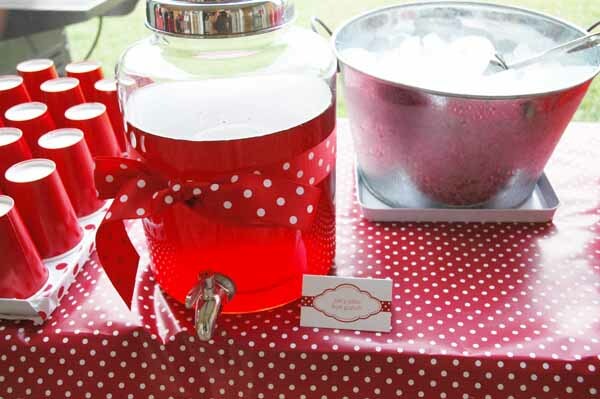 I lined the backside of the table with smaller red play balls and simply used inexpensive white round candy dishes to secure the balls.The backdrop for the dessert table consisted of a 4×8 piece of white V-groove paneling from Lowe’s flanked by some perfect polka dot fabric I happened upon at Ikea. 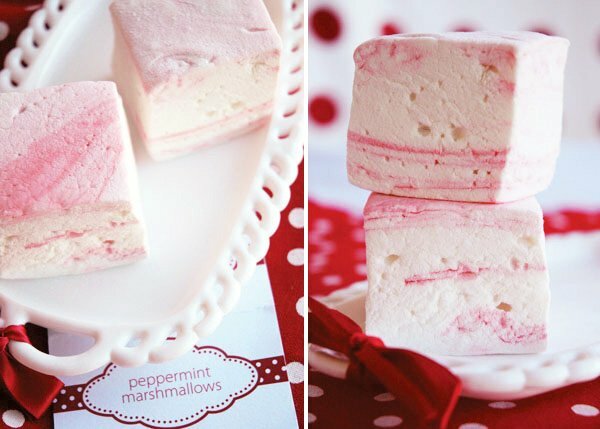 It was so fun coming up with some toddler-friendly desserts! I was determined to make sure everything on the table would be things Ella and her little friends would not only enjoy eating, could also handle easily. 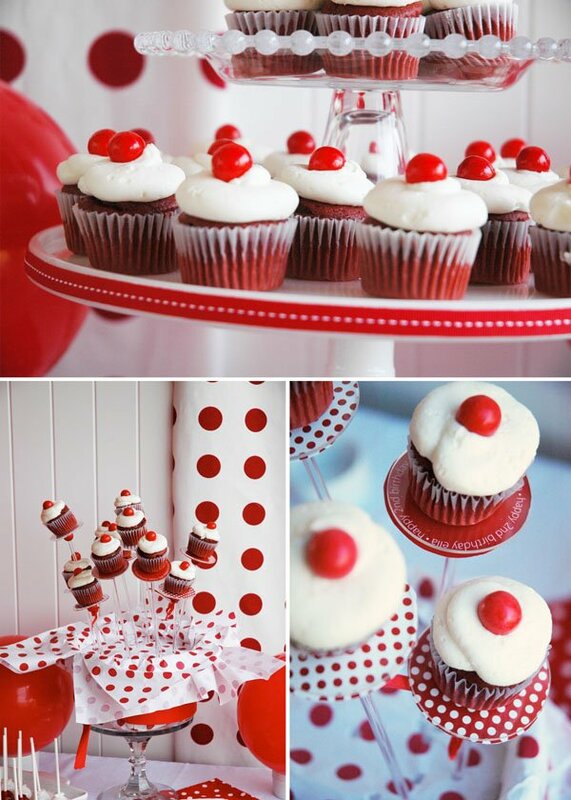 I knew mini red velvet cupcakes were a must, and adding a small red gum BALL to the top tied in the theme perfectly! 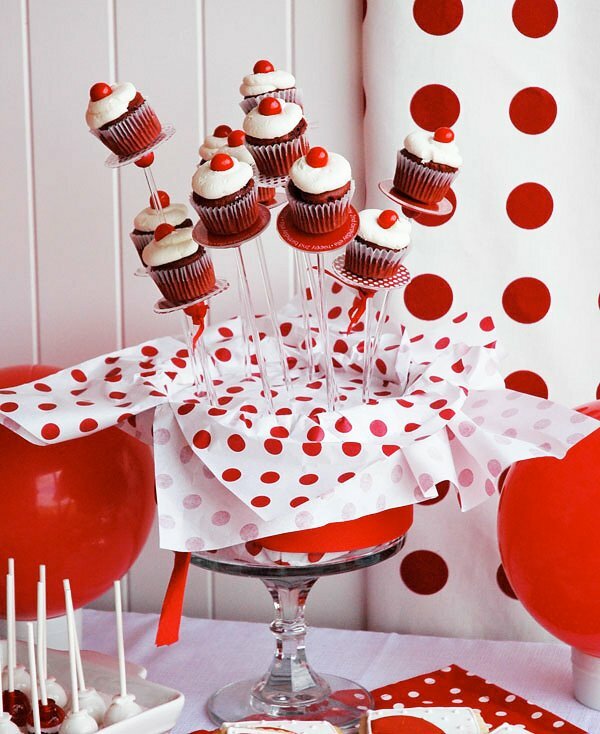 On one side of the dessert table, the mini cupcakes were placed on a cake stand decorated with red ribbon. 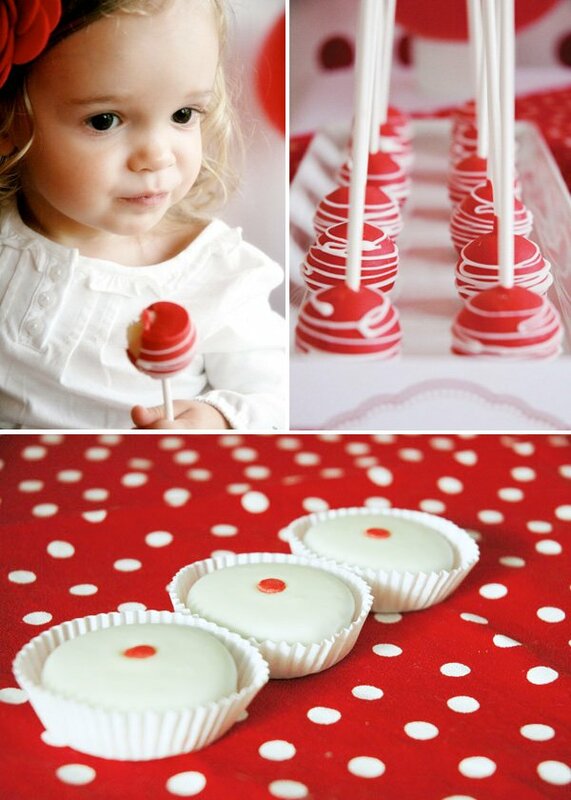 Aside from the adorable cupcakes…giant RED jawbreakers tied with a red polka dot ribbon were placed on the table to mimic bouncy balls and were nestled in sugar-filled baking cups. 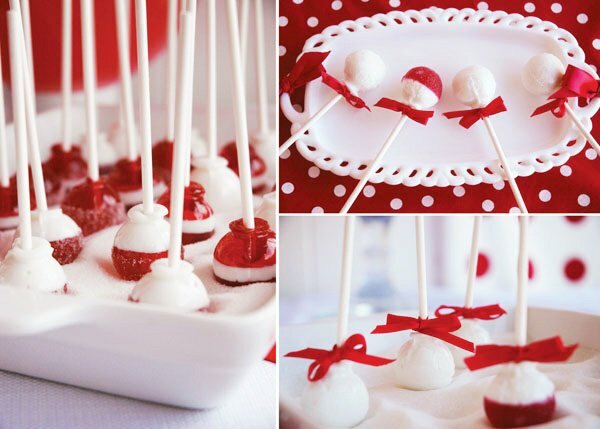 There were also red cake BALLS (thank you Michele), licorice sticks, peppermint sticks and two of my favorite items: custom-made lollipops and peppermint marshmallows sent by Vintage Confections. Again, for the lollipops, I used white table sugar to fill a serving vessel and displayed the lollipops upside down. Perfectly decorated sugar cookies from the Cookie Jar and delicious chocolate-dipped oreos from Sweeties by Kim filled the table as well. 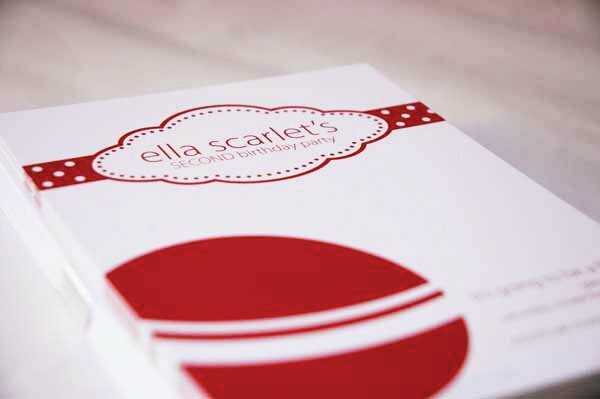 Alongside red chocolate-covered sunflower seeds, Ella’s favorite snack was also displayed on the table in little nut cups for easy grabbing. 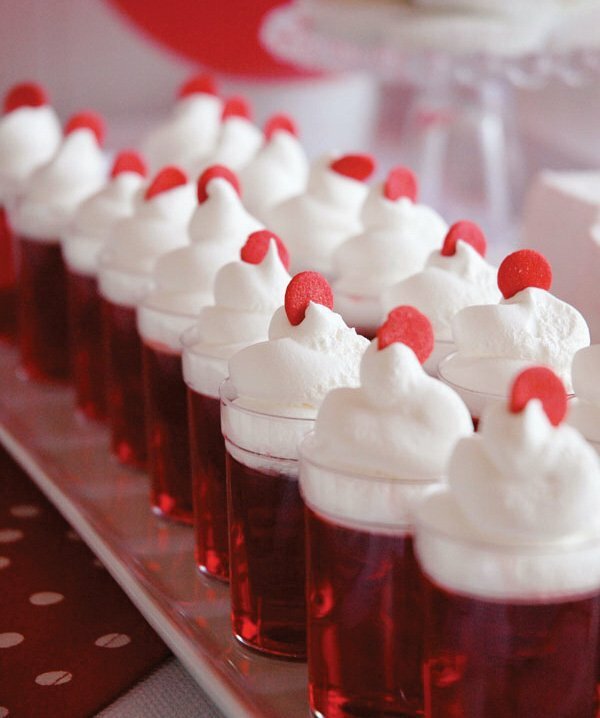 Adorable red jello cups topped whipped cream and one round red edible sequin were such an easy way to tie in the theme and offer an age-appropriate snack. 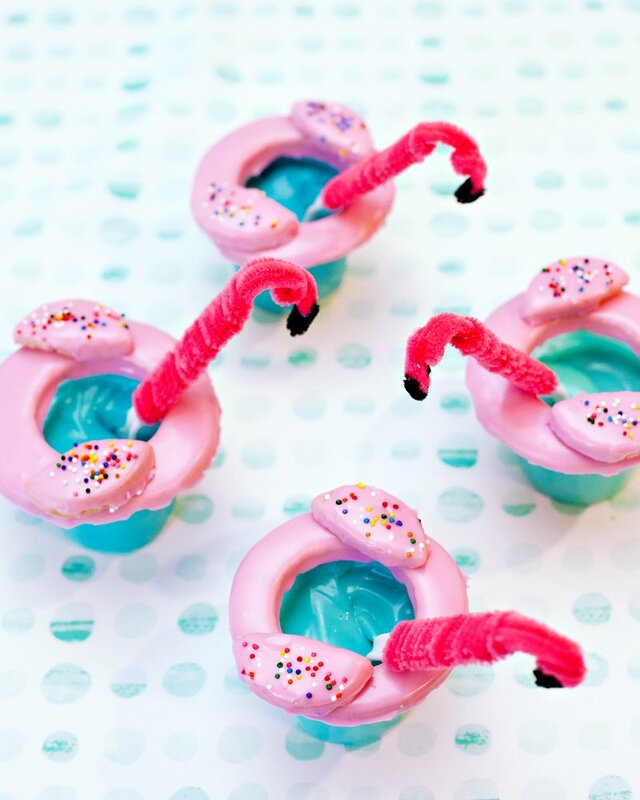 Serving them in plastic shot glasses made them suitable for toddlers to handle, and the mini spoons provided to eat them with made these the perfect toddler-sized treat! The backyard was filled with all types of red play balls for the kids to play with. In addition to those, I created toddler-sized paddles – for a “don’t let the balloon hit the ground” game – by hot gluing mini paper plates and wooden tongue depressors together. 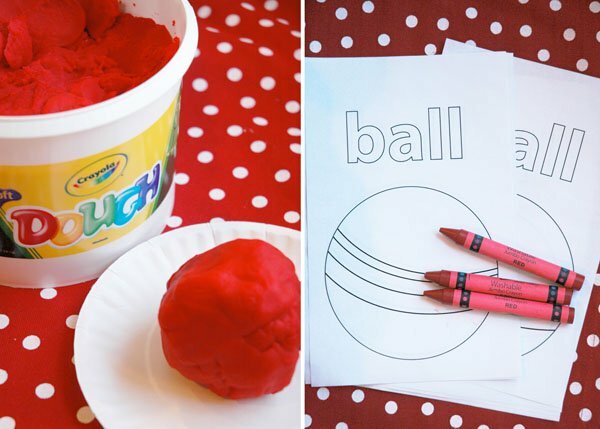 Other age-appropriate activities included making balls out of red playdough and using jumbo-sized red crayons for coloring the customized coloring sheet. And a very sweet gentleman in the neighborhood kindly surprised us by making a matching wooden bean bag toss game. My mom pitched in by sewing the polka dot bean bags from some napkins I happened to find at Old Time Pottery. Favors were super EASY!! Kids were allowed to pick one or two play balls to take home, as well as their favorite leftover treats from the dessert table. Yay! It’s soooo adorable, just as I knew it would be. I love the way you added height with the “cake”. Thanks for including me in the vendor list! I look forward to more of your party inspiration! 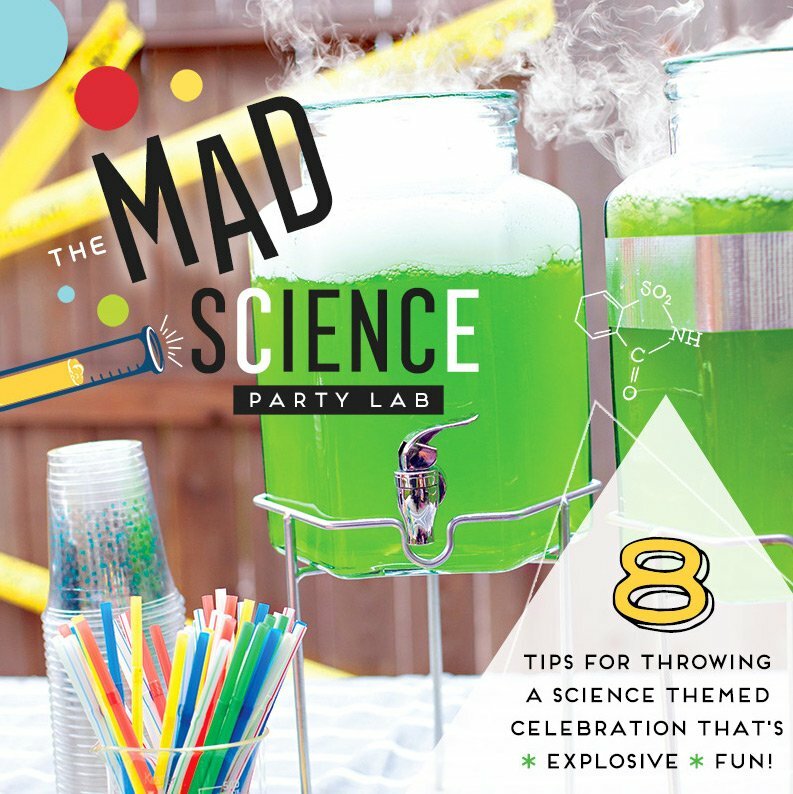 This is a perfect party for little kids! It’s cute, bright, simple and amazing! The repeated theme really pulls every detail together from the invite to the thank yous to the birthday outfit. Very cute!!! Ella is, too! There is nothing about this party I don’t love. I plan to shamelessly copy so many of your marvelous ideas. Very cute ideas. Love it! Absolutely gorgeous, what a wonderful theme! 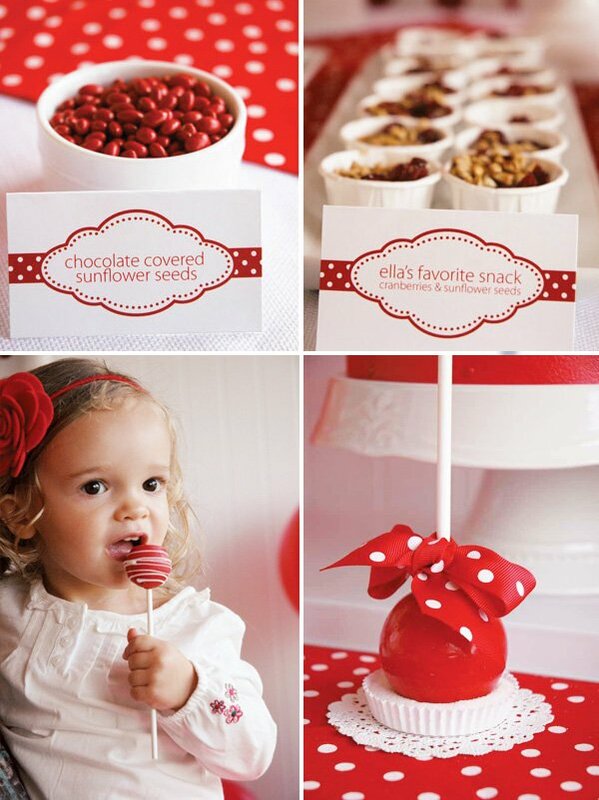 Love this – such a simple theme & beautiful pictures! I LOVE IT!! Every little detail is just perfect! This is so precious! 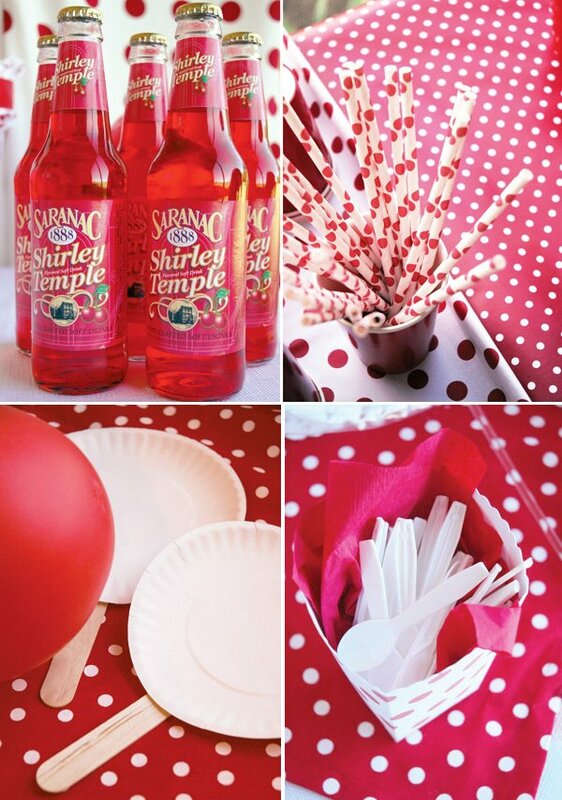 I would even consider this darling party for adults – just change up the beverages. I can’t imagine this not making everyone feel totally happy! Wonderful, Jess! it all turned out just perfect! I am soooooo in love with this party!! GENIUS!! LOVE this party!! Just love it….and the pastry pedestals…awesome!!! Congrats on the new product, Jessica!!! 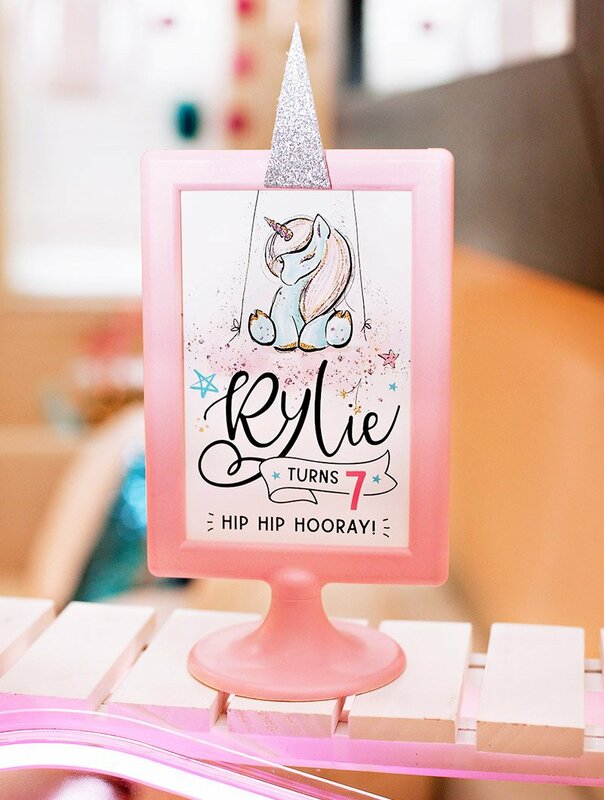 Perfectly put together and playful — just right for a 2nd birthday! Great work! Wow! This is such an amazing party! Thank you for the inspiration! This is absolutely precious. 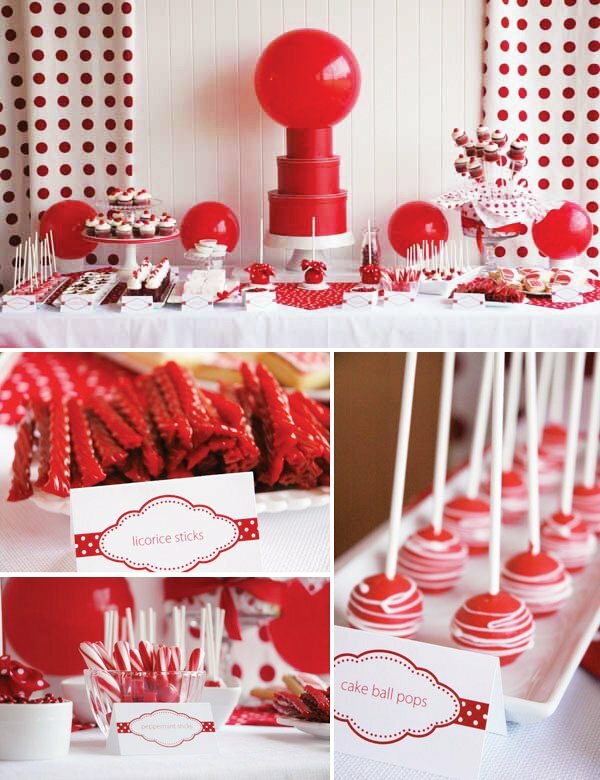 I LOVE the red lollis that look like balls… and the cutout board ball game… and the adorable ball on the dessert table. Stunning! So lovely and delicious looking. 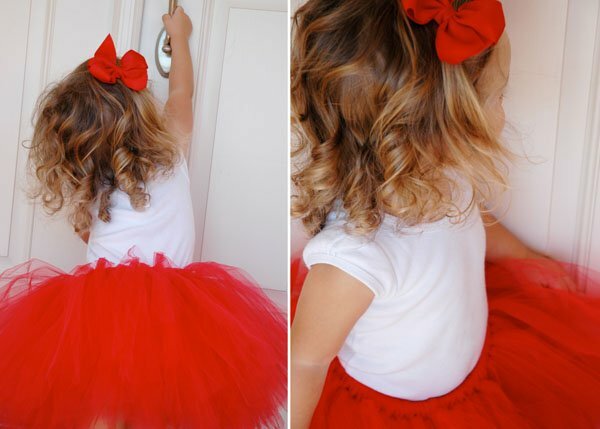 The red ballerina skirt was the cherry on top for me. so pretty! 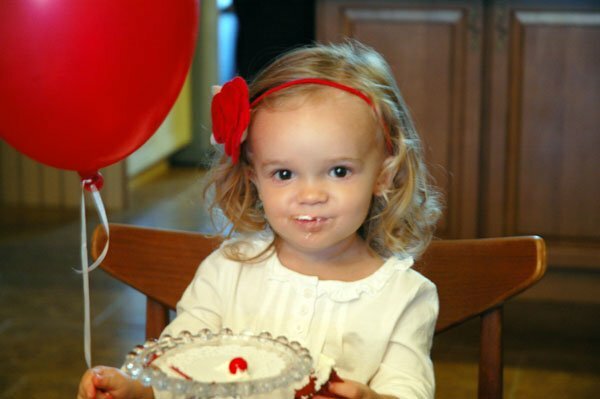 Absolutely adore this little girl and her party! Very appropriate for 2 year olds birthday party! 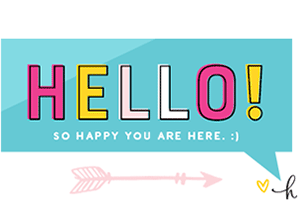 Thank you for your charming and dainty post! Love the party and the pastry pedestals are Brilliant, Jess! Congratulations!! So amazing in its simplicity! Love every detail and those Pastry Petals are adorable!!! I love this Jess, incredible job! 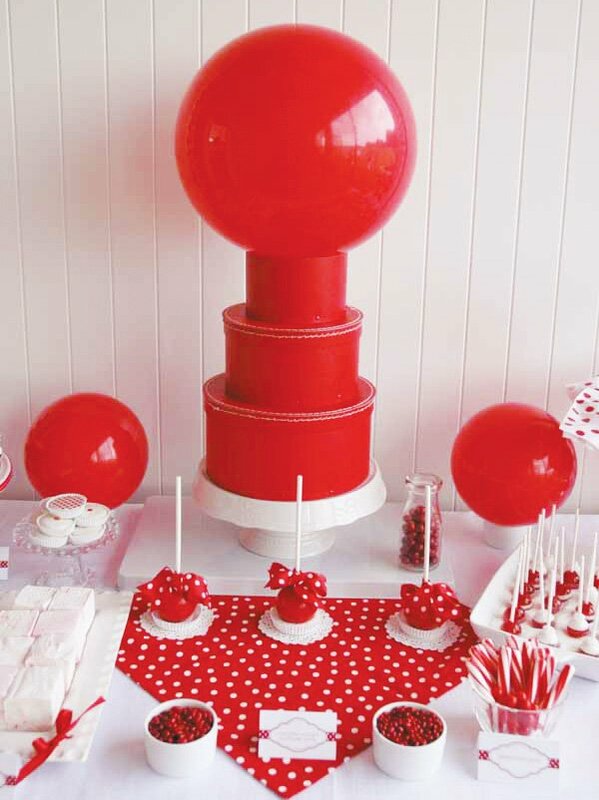 I love the bright beautiful details, the big round balls and those beautiful lollipops. You are so talented! Great job! I cannot wait for those pastry pedestals. They look amazing. Please keep me informed for these when they are available. Fantastic party for Ella. I am sure she had a wonderful time. Sweet party for Sweet Miss Ella!! Beautiful job Jess and I know how cute everything was because I got to attend!! Good luck with your invention; I’ll be ordering! Ella looked adorable! I adore this styling. 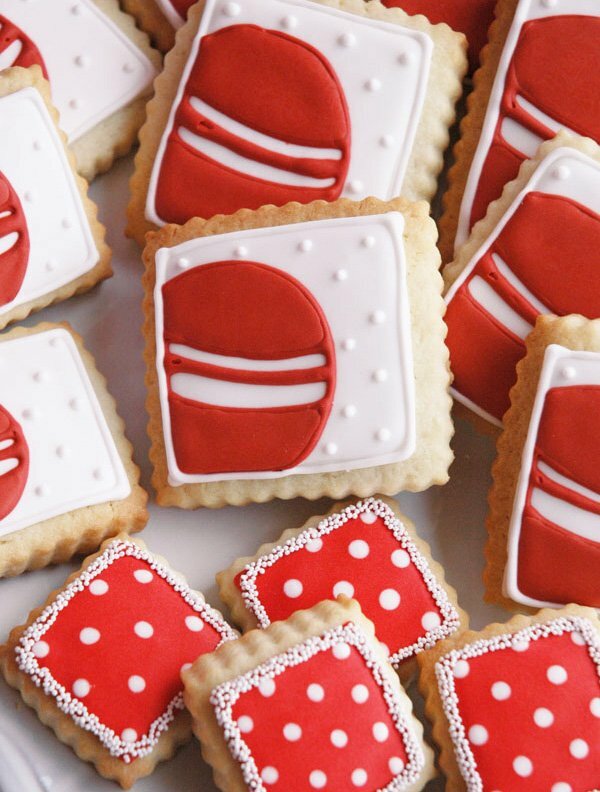 Executed perfectly and oh so sweet! This is absolutely adorable! Everything is so well thought out. She’s lucky to have a mom like you! Sweet Jess!!! Congrats!!! Your work is BEYOND fabulous… ALWAYS! But this party, holy hell gf, you outdid yourself! It packs a MAJOR punch!!! BRAVO bella!!!! What’s not to love about this?!?! Beyond creative. Beyond awesome! Pastry Pedestals are a must item to buy. Please let us know when this product hits the market. I’m so buying a bunch. I love making cupcakes and decorating in different way. I can’t wait. My only question…..with a color-inpired name like Scarlet, why not call it the “Scarlet Ball”, as opposed to the “Red Ball”, heheh. Its a dreamen party for everyone celebrate! Sem sombra de dúvidas, divinas idéias muito inspiradoradoras e instigante. Obrigado por compartilhar, grande iniciativa! O tema é ideal para crianças nessa fase de até dois anos, bola sempre é o brinquedo favorito delas, além de socializar os convidados ao extremo. 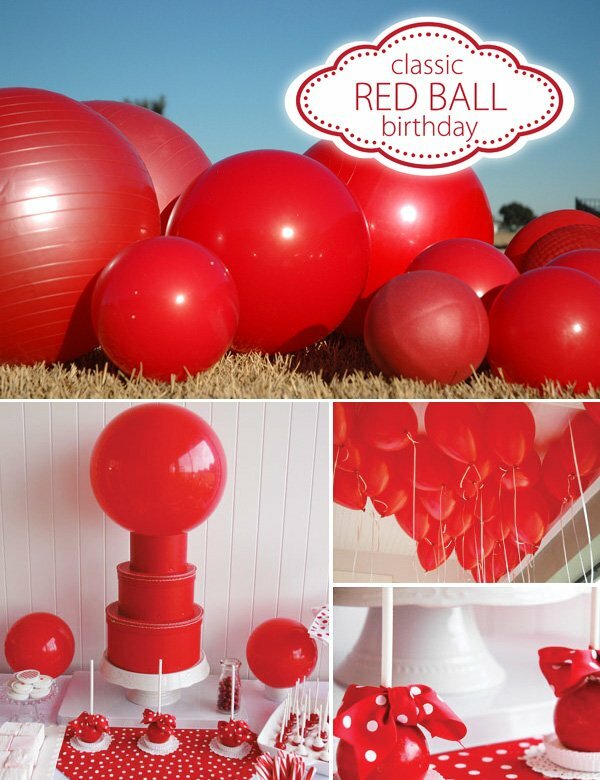 I am just curious because I am having troubles finding red boucy balls online? Could you suggest some places for me to look. Thank you!! Where did you find all of the huge balls?! !